Tonie - Solid black color white striped lined crop bomber jacket. 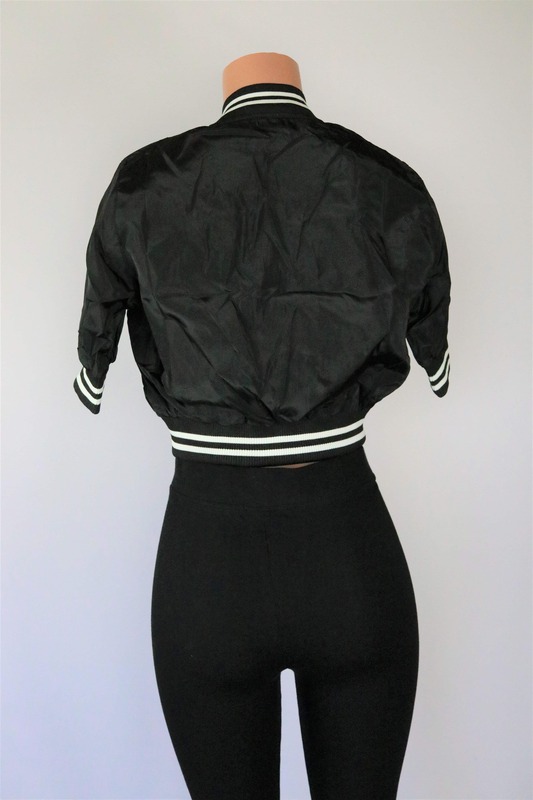 Solid black color white striped lined crop bomber jacket. Elbow sleeves. Front Zipper. No pockets. Length from high point of shoulder to hem 19″.